That Taggart pursues meditative stamina in words approximating a drone for the verbal field is well known. That he has made sacramental use of the performed word is also acknowledged. There Are Birds does something else, however, even as it again realizes Taggart’s Objectivist scruple. Gradual variation is characteristic of beauty in the art of the suspended meditative state by which we know Taggart’s poetics, but if beauty be indicated through gradually varied loveliness, There Are Birds is manifestly unlovely in this sense. Exaggerating the difference between line and word, in orchestrated rough and leggy gait, poems in There Are Birds also elect to mess with Taggart’s preferred commonplace type and symbol for a lexical particularity not readily assimilated into smoothness, let alone beauty. Instead, prosodic oddness and lexical particularity here work against the commonplace and undermine the generic type that Taggart does not typically allow, if measured against the writing we have come to expect from him. Rather, this book emphasizes diversity of vocabulary and extremes in line length, in an assemblage eccentric and singular in its linguistic deposit. As for the scoring, most marked is the absence of supersaturation of phrase shifts in incremental steps to establish field dynamics within a drone. In a swerve from the implications of repetition and ready homogeneity, heterogeneity is played out, in linguistic difference not reconciled in equilibrium let alone consistency: and this is striking, given that Taggart usually takes pains to articulate a plane of repetition highly consistent within its terms. For here accidental associations put the spare short sections off-kilter: in the realm of notes, remarks, lines written a few miles above, not Tintern Abbey, but his equivalent to favorite and familiar spots of time. There Are Birds pays homage to ancestors. Objectivist poets are named directly and acknowledged. As the poem “Grey Scale/Zukofsky” demonstrates, the ancestors are named directly, and within the poem as well, directly acknowledged. Meanwhile the poetic object composed by Taggart jumps around, from attention paid to photographs to the mentions wherein tutelary spirits of the moderns are invoked. Ultimately, the putative object, the gray scale as optical series, surrenders to the grey scale wherein verbal indications embed descriptors and contend with each other in the descriptive/contextual debates concerning language in use. So it is of interest to focus on “Grey Scale/Zukofsky” and the contrastive difference between the visual gray scale and the linguistic grey scale presented in this poem. The gray scale is a term for the conventional photographer’s card, the tonal standard by which reproductive analogue images may be matched for accuracy in reproduction. Typically, a few uniformly calibrated increments can be said to objectify the continuum of tonal shift from white to black, and so establish a gauge for seeing and printing an image in its particularity. So the gray scale is a visual BASIC, and performs its reductive syntax with alacrity, helpful in controlling for the “semantic” tonal distortion under certain conditions of transmitting visual messages. Grey scale is the same in an alternative English spelling. This, Taggart tells me, is the spelling he prefers, owing to its subjective coloration for him, not to any cultural encryption. But as the choice of the American Taggart, the lexical “grey scale” might well induce a shift to a context of literary rather than visual considerations, or even as a prompt to the linguistic status of color in language philosophy on the other side of the pond. As against the uniform gamut of visual gray, the grey scale of “Grey Scale/Zukofsky” arrays itself in sentences, so that each of the initial three sections of this spare poem announces a differing order of gray: “whiteness”; “silver maple”; “middle grey.” Incommensurate here are the ideas to which the words refer: “whiteness,” as from an order of being, “silver maple” as referring to a tree known through several common names and a scientific one, and “middle grey,” a general condition of the average. None of these are facts. Although by no means systematically driven, the poem is highly deliberate in indicating that difference is of a conceptual heft for which strata cannot be reconciled or comprehended. The fourth section begins with “Three tones + other tones,” a pun on sound and sight attuned to the visible to the scale of snow: “glaring” in full light, “in full shade,” and “no snow.” These together form a spectrum of sorts, through which to refer to a rough gamut of light to dark (with the third term, however, incommensurate, and pertaining to another scale: full to empty). A resourceful poet, Taggart finds a way of inducing a spectrum without naming “snow in full shade” by calling it “gray,” which would have language prompt the picture’s academic convention prior to the Impressionist way of seeing the world firsthand. Even so, we are reading about snow as a literary experience: knowledge by description occurs in the very act of describing weather in some language. (The verbal condition we ascribe to experience informs this poem: teasing out knowledge as conventional through language that makes us describe snow gray in shade when it is not, as later Wittgenstein, in his lecture notes compiled in Remarks on Colour, indicates.) Other tones are added to these three tones, through sentences that mention a cat, a dolphin’s shadow, and Bach, where visual and aural experiences could be said to compound the “logical” spectrum with contingent scales of all sorts. In the following section, the mention of Pound specifies an image of him as fixed through the photograph taken by Richard Avedon in 1958 — this a fact, but a fact subsumed now as souvenir, by way of a postcard serving as a bookmark. Souvenir in its calibrations here comprises “three tones + other tones + two tones.” Approaches vary from section to section, to interpolate factual, cognitive, and affective present recollections in the spectrum. All eleven short spare sections issue in linguistic deposits from particular to general, collected from differing linguistic and literary strata. Overall, the range Taggart generates is deliberate yet also unsystematic, not fixed, fluidly a sequence improvised for this purpose: and it opens onto the possibilities wherein any number of other grays would satisfy the concept. Photographs of Pound, a postcard of Williams, and then of Zukofsky, are mentioned, scanned or scrutinized — this last dwelt on. Louis Zukofsky by Ralph Eugene Meatyard, 1968. Shades — as in of the deceased. Represented through their linguistic signatures are shades of Stein, as well as the shadow of Creeley’s Oppen, wherein lines by Taggart recall Creeley’s serial syntax ceding to Steinian predicates in parallel. Not to mention echoes of Zukofsky’s Shakespeare: “Come shadow come.” And while we’re at it, shades of Charles Ives whose music often ended with the ringing silence in the aftermath of a din. (Or think of Albert Ayler’s hymnal purge.) As in most of his poetry, Taggart adheres to common vocabulary neutral enough to pass for plain speech in commonplaces that shun the “gaudy” (says Wordsworth) poetical for the dull, all the better to demonstrate what can “be brought to light” in the clustering and sequencing of tones. 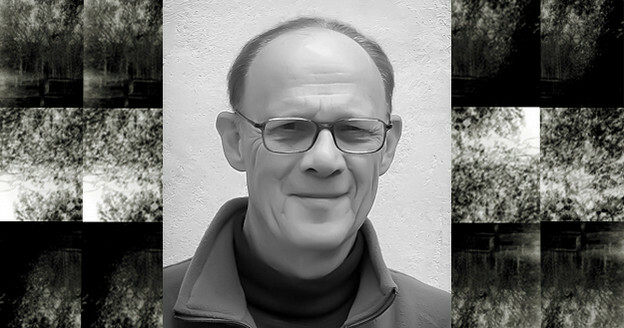 How illumination comes and goes through neutral diction is central to Taggart’s poetics. 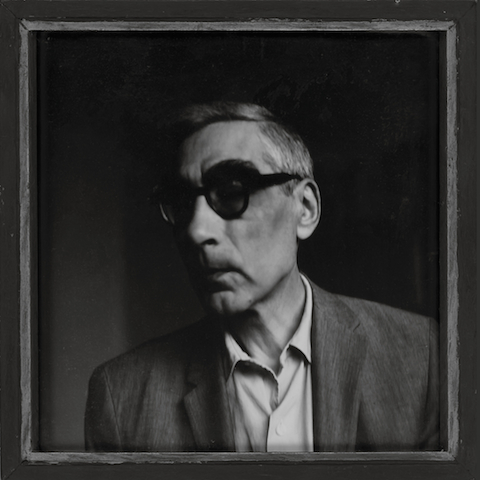 Referring to a specific image of Zukofsky presents itself as a fact, with Taggart’s own knowledge of those generative circumstances unavailable. The reader may have knowledge concerning the empirical evidence, through familiarity with Zukofsky’s poetry, but not with the photography of Meatyard, or the other way around — or of neither. Does it matter? Certain post-analytical philosophies would argue that the point of the way language works is not to prompt a comparison between empiricism, logic, and grammar and to find grammar a deficient empiricism or inadequate logic but to take sentences as their own object. So from this point of view, the verifiable status of information and reference in the poem is irrelevant, except insofar as it represents an informational sentence as such. Even so, to the Objectivist Taggart, precision in reference does matter; approximating the reference is not an option for the writer of this sentence, for beyond the contrastive linguistic status of specific to general statements whereby differing linguistic orders are thrown into relief, indeterminacy of language in its range of contents also requires a vigilant attention to differing sorts of things. So, with the contextual framing allowed us through Taggart’s affiliation with Objectivism, it may be important to note that the grey scale of sense for the Objectivist must include a semantic concreteness that could be investigated and checked, even though the nature of language is such that it does not promise to picture anything named. In the next section of “Grey Scale/Zukofsky,” a descriptive physiognomy of the poet does appear, but split from previous section’s mention of the name, for here appears no proper name, at any rate. The verbal description of a face that constitutes this passage is characteristic, plausible, and yet no resemblance that could not also derive from a number of other images of distributed darks and lights. So that date of 1968 mentioned in the previous section serves to limit that which floats an indeterminate range of physiognomic Zukofsky. But as a photographic medium mediates Zukofsky’s identity and further complicates the discussion, we wonder how knowledge of Meatyard’s practice affects the reading of visual gray scale deployed as verbal grey scale. In his experimental photographic practice, Meatyard, an optician by trade, let the technique deviate from the optical clear and distinct norm, by exaggerating light/dark extremes or obscuring figure/ground relations, and otherwise interposing indistinctness between the human subject and the camera, both to give privilege to the medium and to make composition the priority. To this end, the figure was a prop, an element with compositional potential, a subordinate, not a dominant, subject. Meanwhile, along with these stylistic devices were exploited the blur of moving subjects, and, along with montage, Meatyard’s style derived formalist invention from surrealistic yet also abstract-expressionist tendencies toward chance or indeterminate outcomes. And so his images of Louis and Celia Zukofsky, to be incorporated in a special issue of Maps, the journal edited by Taggart, range over obscure to clear-and-distinct optical knowledge; in some, rendered indistinctly even as Meatyard has increased the contrast, the background is glaringly light and obscurely dark, while the human profile is dark and dim. Black and white photography is evidently being used to undermine portraiture in the conventional sense. The particular image referred to by Taggart, however, issues from the same batch of photographs but is one unpublished and retained for his own home. This image from Taggart’s private collection happens to be in extremely sharp focus. So knowing only that Meatyard’s photography induces tones to be measured against a gray scale as all black-and-white photography does provides mere given knowledge, but knowing the contextual field of inquiry through which a given scale becomes a singular tonal compositional style helps to fix style and cultural rhetoric, especially considering that the nature of his formalist experimentation (downplayed in Taggart’s verbal rendering) ups the ante on the image through the garbling of likeness. Furthermore, to say now that Meatyard’s Zukofsky undermines likeness in producing indistinctness is only one way of putting it; another way would be that all exposures are clear and distinct points allowed for by the apparatus of the camera, and manipulating the exposure and focal length is as decisive at one position as at another. For the test of visual gray, the lexical test of grey creates a poetic object of considerable interest. 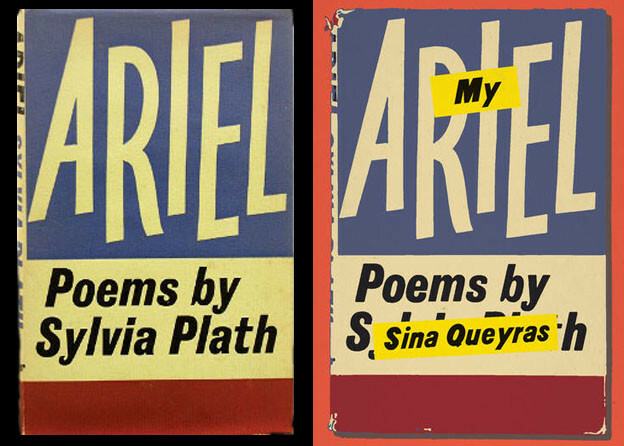 For the sake of comparison, consider other poets’ use of the poetic object written to display the category of one color. As noted by Keats, in his “Written in Answer to a Sonnet Ending Thus:” in which the concept of blue or blueness not exhaustively calibrated but suggestively evoked in singular and singularly elusive hues, blue becomes a variegated name. No wonder that Oscar Wilde loved this poem and lectured on it when visiting American positivist soil, treating the naturalists to an antidote of protosymbolist spectral chromaticism. Closer to our contemporary moment, for some of us the gray-scale card becomes a prompt for thinking about linguistic versus empirical or logical orders. If one were to consider that tone, scale, and modes locate subjective mentality; and were one to find these transposed to the condition of the individual in society, as does Norma Cole, one would find the essay hospitable for accommodating the particular individuality of others. Ruminating on the poetry of Robin Blaser, Cole writes that “In ‘The Medium’ the relationship between its musicality and the tempering of others’ scales, as well as the narrative of the timing, is perceptible here in or as ‘a darkness,’ a rhythm reflecting its ‘reluctance.’” Then not just modulating the category as concept but articulating singularly inflected subject positions other than oneself becomes a test of the grey scale as a standard given term of coexistence. But to the point. Indeterminacy for a man who went by the designation L. W. did consider the logical positivist view that language is not logic, and extended this to mean that grammar is not an inadequate state of affairs with which we make do until we grasp the reality of some underlying concept. Rather as it had been established in the pragmatic scheme of things, grammar accommodates a congeries of differing descriptions and interpretations with a syntactic ingenuity that enlists different orders for the words in use. So, the title of Taggart’s poem, as being set apart, establishes the “key” in which a (as well as key to which) grey as a category is not neutral: but through specificity, through clustered indications that establish semantic relations, and through the contextual cultural knowledge that any word — let alone Taggart’s “Zukofsky” — presupposes, the greys to be found in linguistic use in the poem strongly indicate the subjectivity, not objectivity, of practiced linguistic terms and their pragmatic zones. 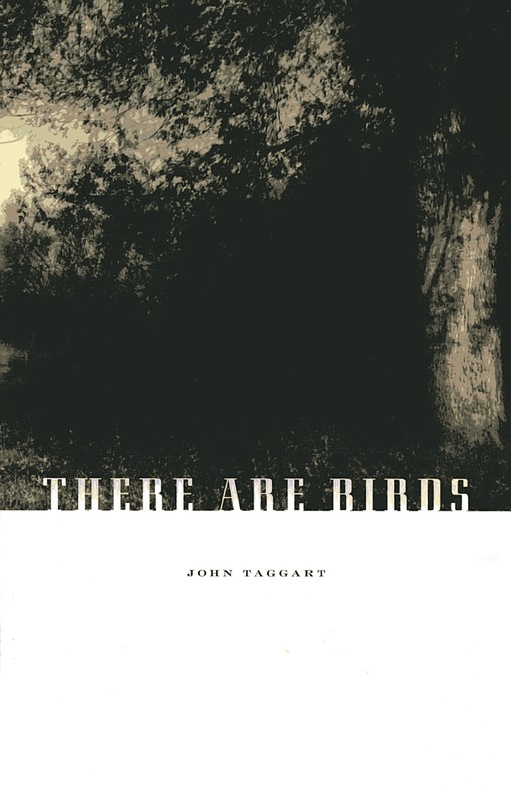 Drawing upon the experience of his own knowledge and immediate habitat, John Taggart has composed “Grey Scale/Zukofsky,” a poetic object that constructs not a holism but an all of another sort: an assemblage of greys construed as tones from the strata of possible descriptions — that much richer for being measured against a sequence of fixed positions.